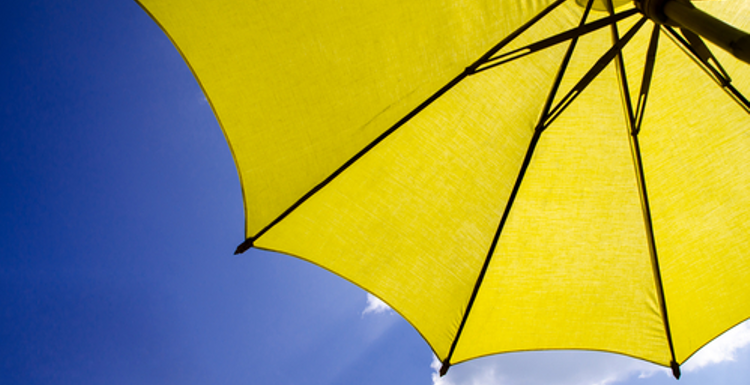 The recent heatwave has triggered the annual debate on how much sunshine exposure is healthy. We need our sunshine to make vitamin D, but we don’t want to burn. How can this be balanced? 1. WHAT IS VITAMIN D FOR? The main function of vitamin D is to maintain bone health, by controlling the absorption of calcium. This is why vitamin D deficiency can lead to soft bones, the condition commonly known as rickets. Vitamin D also contributes to overall fitness and brain function. Vitamin D3 (cholecalciferol) is now thought to be the most effective form of this essential vitamin. 2. HOW DO WE OBTAIN VITAMIN D? The light needed to make vitamin D is ultraviolet B (UVB – 290-350 nanometres). When UVB hits skin, a chemical in the epidermis makes vitamin D3, which is then transported to the liver. We can also obtain some vitamin D from food, with oily fish as the best source. 3. WHAT AFFECTS VITAMIN D PRODUCTION? There are many variables, both in how much UVB reaches your skin and how your skin handles it. The UVB reaching you depends on your latitude, altitude and the time of day and year. Unless you live closer than 35 degrees to the equator, there won’t be enough UVB to make vitamin D at certain times of year. The entire UK is north of 50 degrees, so in this country we can’t make enough vitamin D from October to April. Clothing and sunscreen also make a difference, as does skin colour. Darker skins need more UVB to make vitamin D.
UVB rays also cause sunburn and increase the chance of skin cancer, so there is a downside to over-exposure. 4. SO WHAT SHOULD I DO? With all those variables, it is very difficult to make any kind of exact recommendation for time in the sun. A very rough suggestion is 10 minutes a day with face and arms exposed without sunscreen. Current advice is also to consider a daily supplement of 10 micrograms of vitamin D. This should be in the winter for everyone, and year-round for the young and old. The message? Treat the sunshine with respect and it will be your vitamin friend. Really, really interesting read about how vitamin D is produced. I had no idea. wow - no wonder there is no right answer to this! It is quite worrying how many lobsters appear on our streets after a sunny weekend, and people always seem get caught out before the school holidays.